Our organization holds expertise in designing and developing highly efficient Wet Pulveriser. These Wet Pulverisers are driven by innovation and ensure efficient performance. 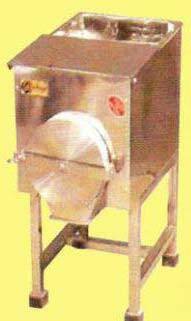 Our Wet Pulveriser has stainless steel chamber, rotor, body and hopper. We have with us Wet Pulveriser powered by 1.5 HP 2800 RPM and 2 HP 2800 RPM motor that ensure excellent performance at low operating cost.